In 1875 Kingston celebrated with a Grand Thanksgiving Ball on November 25. 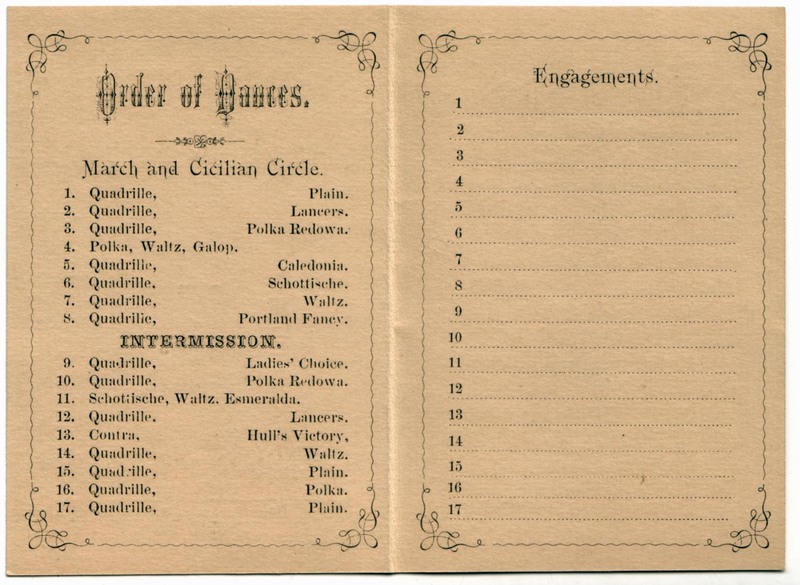 This dance card tells us that Bowle’s Quadrille Band played 17 numbers, 14 of which were listed as quadrilles. This was not as unvaried as it might sound, as there were lots of types of quadrilles: the Grand Thanksgiving Ball offered three Plain, two Lancers and and two Polkas Redowa, along with a Caledonia, a Schottishe, a Portland Fancy, a Ladies’ Choice and a Waltz. 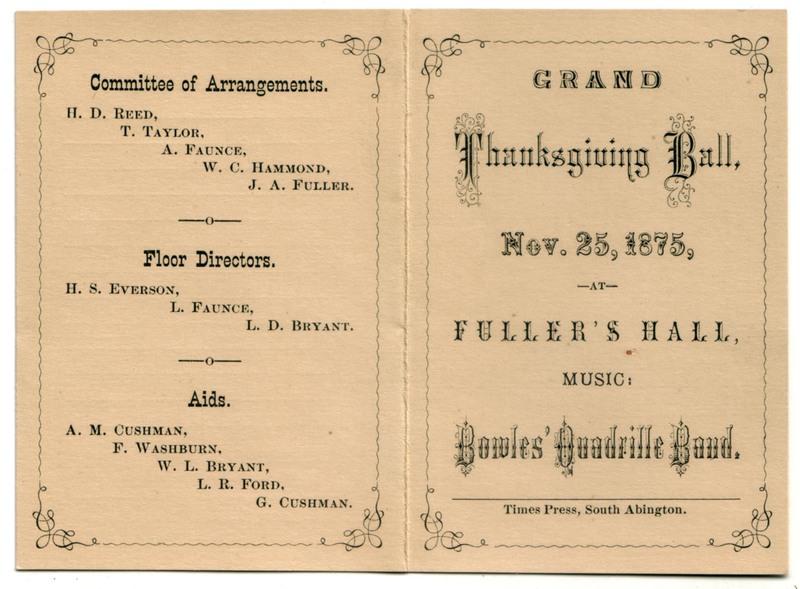 Kingston’s Grand Thanksgiving Ball took place at Fuller’s Hall, located on the corner of Main Street and Maple Avenue. 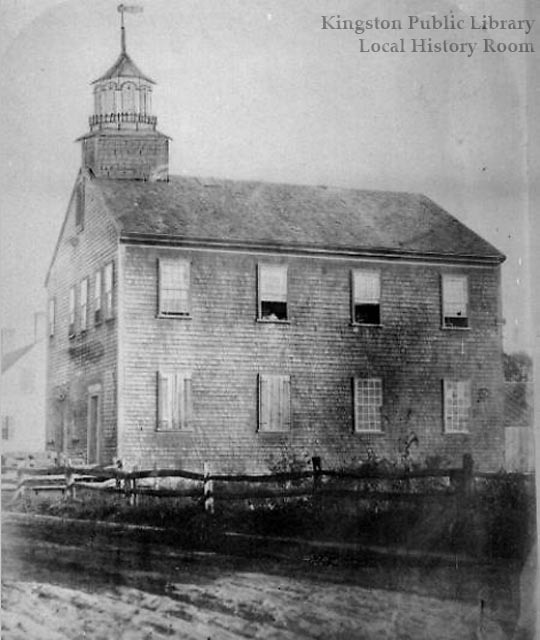 Originally built as the first Baptist meeting house in 1806, by 1835 the building housed a foundry. Later the upper gallery was extended to create a full second storey where clothing was manufactured, and by the 1870s this second floor had become a meeting place for groups such as the Temperance Society and a public hall for events like the Grand Thanksgiving Ball. In this photograph, the belfrey, removed in 1835, has been helpfully penciled back in. Around 1900, Fuller’s Hall burned and within a decade, the residence at 248 Main Street was built. Sources: Library of Congress, American Memories; Emily Fuller Drew’s notecards on lantern slides. After the dog photo last week, the cat demanded equal representation. 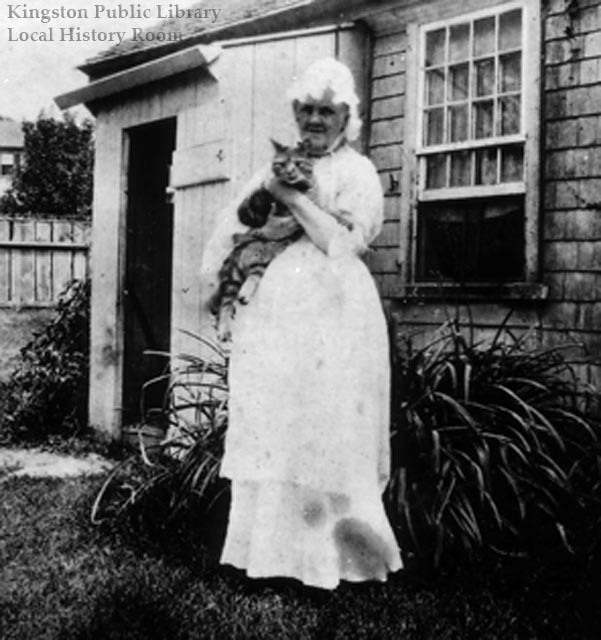 Here is an undated photo of Martha Bradford in costume holding a substantial and apparently contented tabby. I wish my dog would sit up like that, but she’s knock-kneed and goofy so she just falls over. 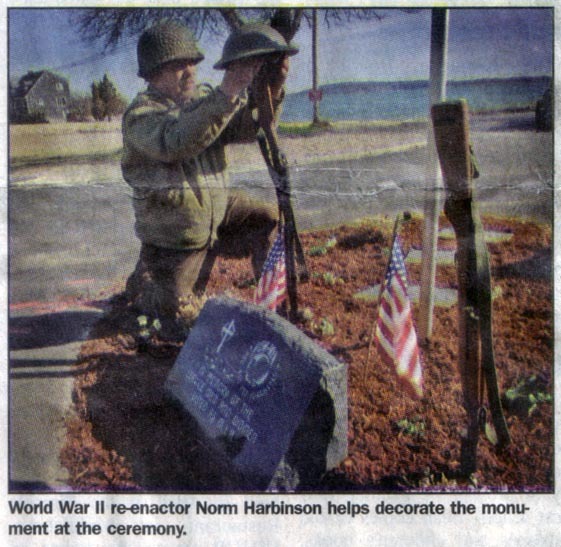 Over the centuries, Kingston residents have served in the armed forces when necessary, and throughout that time, the town as a whole has honored that service and sacrifice. Here is a brief look at a few of the monuments around town that set in stone the town’s gratitude to its citizen soldiers. The same spirit that led Kingston to gain independence from Plymouth in 1726 made the town ready to support opposition to British rule fifty years later. In the winter of 1775, Kingston selectmen joined other towns of Plymouth County in signing a remonstrance against the crown, and began to prepare for the crisis soon to come. Men were recruited for a company of “minute men” and when Lexington called, shipbuilders and farmers dropped their tools and marched first to Marshfield, then on to Concord. Kingston sent her full quota to the Continental Army — 61 men, half of the adult male population from a town whose residents numbered just over 900. The town also provided coats for these troops, and sent others to man the fort built in 1777 at the Gurnet alongside men from Duxbury and Plymouth. Subsequent wars brought equal responses from the town’s citizens. In the War of 1812, 30 Kingston men enlisted, most serving coast guard duty at the Gurnet. With an economy heavily dependent on shipping and ship-building, Kingston’s prosperity was certainly threatened by this war with Britain, and citizen responded once more. In the War of the Rebellion, now more commonly called the Civil War, Kingston sent 189 soldiers to fight, 19 more than the required quota. Of a population of 1626, one in nine served; a total of 14 were casualties of the hostilities. The town treasury paid out more than $11,000 ($5,574 from private donations) in soldier’s relief. 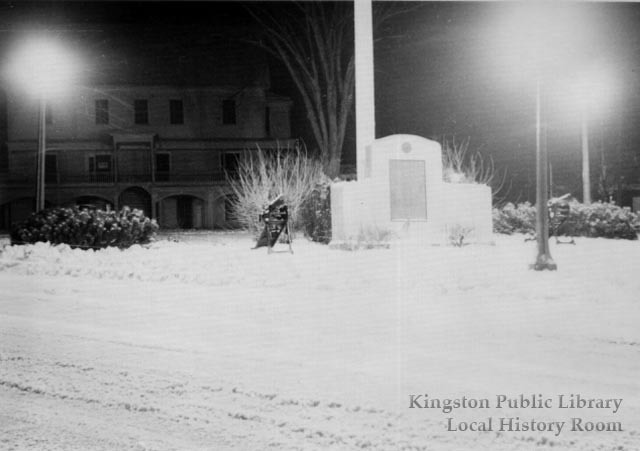 In 1883, a monument was raised on the Town Green, also known as the Training Ground, to honor those Kingstonians who fought for national unity. Mrs. Abigail Adams personally funded the monument, while the Martha Sever Post No. 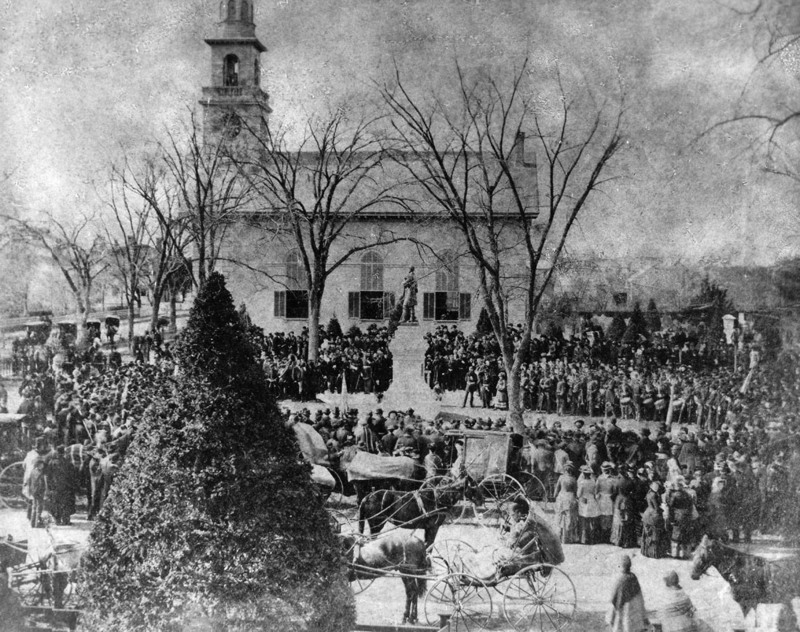 154 of the Grand Army of the Republic paid for the dedication ceremonies, pictured below. 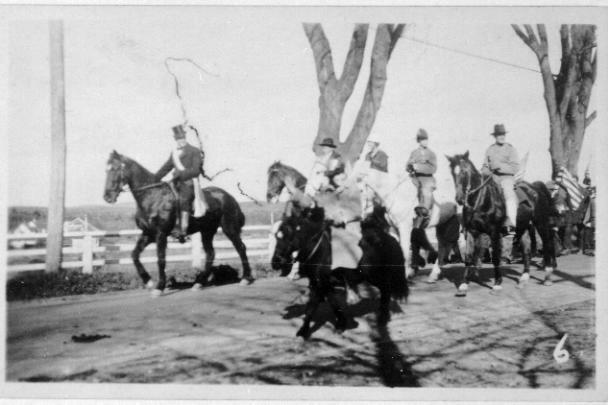 In 1926, the town honored the 132 doughboys and nurses who fought in World War I with a monument on Patuxet Hill, at the intersection of Green and Summer Streets; the formal dedication took place on Memorial Day, May 30, the following year. The machine guns were donated by the Kingston American Legion. The monument to those who served in the Second World War was erected in 1953 on Main Street near the bypass over Route 3. Another memorial to veterans of foreign wars, specifically Korea and Vietnam, stands in front of the Faunce School on Green Street, while the newest Kingston monument, this one honoring soldiers missing in action, was dedicated at Gray’s Beach on Patriot’s Day, 2005. Life Scout Joe Gibbons spent a year on the project. Dedication of the MIA monument, 4/29/2005. 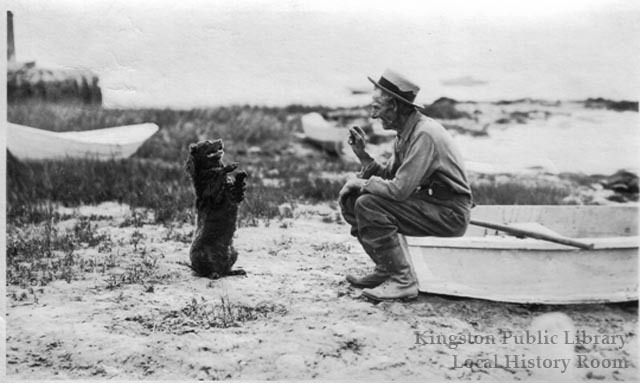 Kingston Mariner staff photo/Bert Lane. November’s Local History Room exhibit honors veterans with a display of artifacts and documents that give a small glimpse of the soldier’s life and return home. Ninety years ago this week, at 11:00 a.m. on the 11th day of the 11th month, the War to End All Wars, the Great War, now called the First World War, ended. 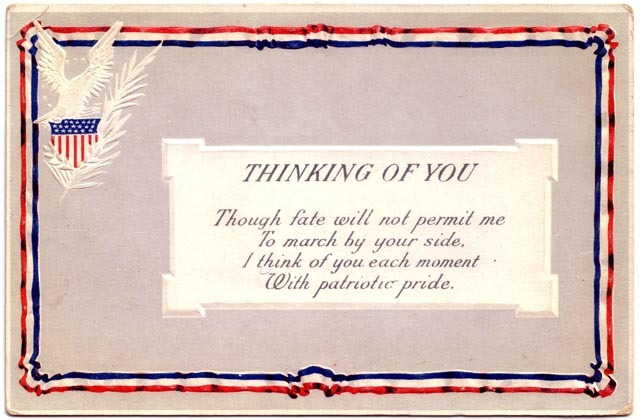 The following year, President Wilson proclaimed Armistice Day, and by 1921, Congress declared the federal holiday. Kingston celebrated news of the armistice with “the ringing of bells and the blowing of whistles” according to the Old Colony Memorial on the following Friday, November 15, 1918. Businesses and schools closed and patriotic speeches and songs filled the air. 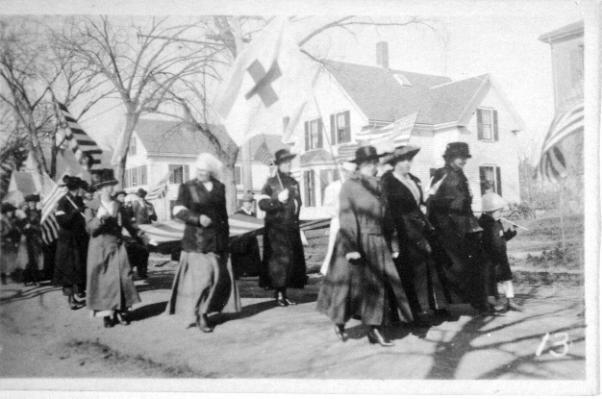 The next day, an impromptu victory parade “traversed the principal streets of town…followed by a mass meeting on the Town Green.” Here are two views of the parade. A more formal recognition of the war’s end took place in 1919. In March, Town Meeting appropriated $500 to celebrate. An appointed “Welcome Home Committee,” visited all returning servicemen and nurses, presenting each with a bronze token of appreciation for service to town and country. In October, a special “Welcome Home Day” was held with a parade, band concert, decorations, speeches and a turkey supper at the Town House. Ninety years later, Veterans Day honors all who served. Thank a veteran when you have the chance. With the presidential election upon us, we look back some decades to another. Here is the 1864 National Republican Ticket. Running for re-election against General George B. McClellan, a War Democrat known as “Little Mac,” on a platform that included the defeat of the Confederacy and a constitutional amendment to end slavery, Lincoln received 55% of the popular vote and 212 electoral college votes of the possible 233. For background and details on the 1864 election, go here or here. Below the national candidates, we see John Albion Andrews, called the “Great War-Governor,” also running for a second term. Unlike Lincoln, Andrews did not win. To learn more about this notable Massachusetts governor, go here. The Kingston connection lies at the very bottom: Cephas Washburn, Jr. of Kingston running for Representative of District No. 5. Did he win? Well, in 1864, election results were slow to get out to the public, so stay tuned for the results, which we’ll post after the elections. Update: There is no record that Cephas Washburn Jr. won his election.